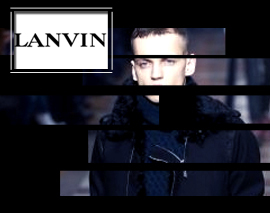 Follow Fashion One's feature on Lanvin The Evolution of the Lanvin Man showcasing the collections presented on the Lanvin runway since 2006 to this year. We featured the interviews of Lanvin head of menwear Lucas Ossendrijver and designer/creative director Albert Elbaz. Get to know the story behind the inception of Lanvin Man as pursuits the journey to update men's fashion by unravelling the codes of the classic men's wardrobe into a new and remodernize design perspective. Join the Evolution of the Lanvin Man 125th Anniversary. "LANVIN The Evolution of the Lanvin Man 125 Years" "The Evolution of the Lanvin Man 125 Years" "LANVIN" "Lucas Ossendrijver" "Albert Elbaz" "FashionOne" "Fashion One" "Fashion Entertainment" "Fashion Model" "Runway" "Beauty" "Music" "Fashion One TV" "Designers" "Fashion Designers" "Style" "Collection" "Fashion Show"